Good grief. When I made my way to bows, I hadn't realized how extensive my collection actually was. 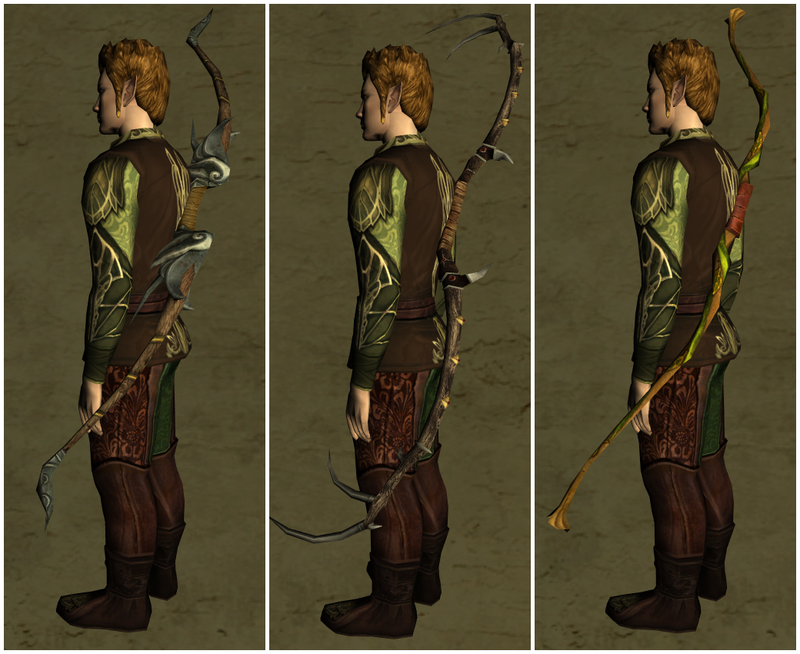 However, considering I have four character that use bows (my Hunter, Champ, Beorning, and Guardian), it makes sense. 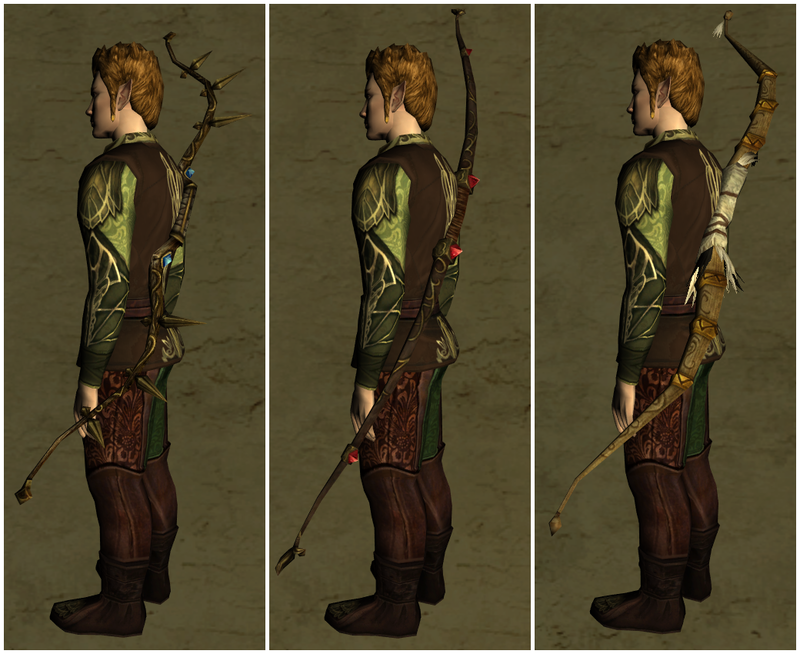 Still, I nearly had more bow skins than I had sword skins! It was then I realized this particular weapon class was going to need two entries. 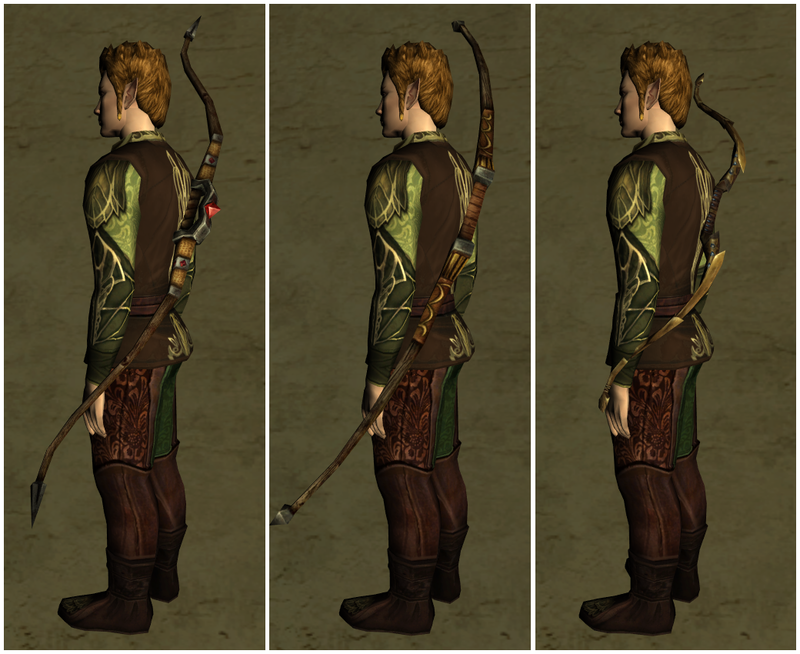 As with the Javelins post, because of how the bows were displayed in the dressing room panel, I'll be showing the bows in groups of three. 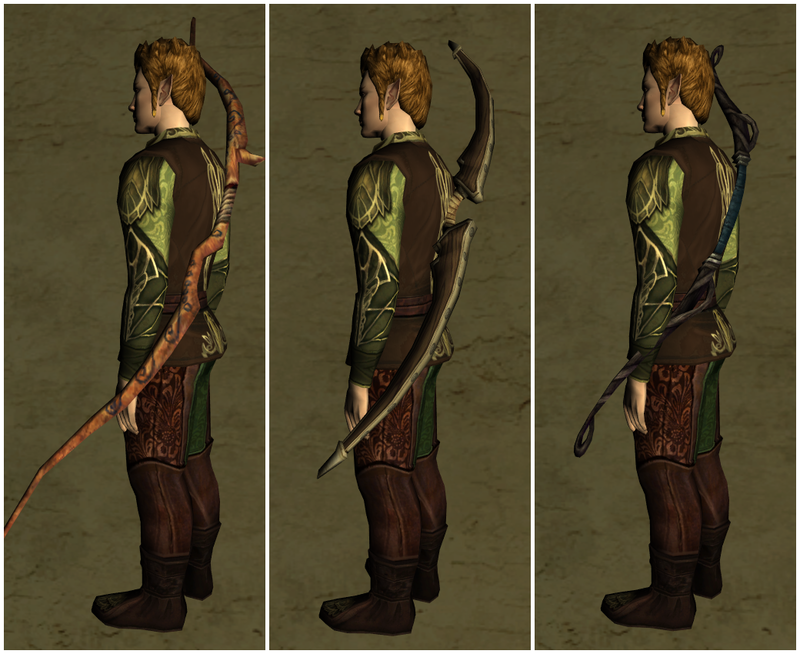 Under each image will be a description of each bow skin and how to obtain it. Please don't mind some of the images. 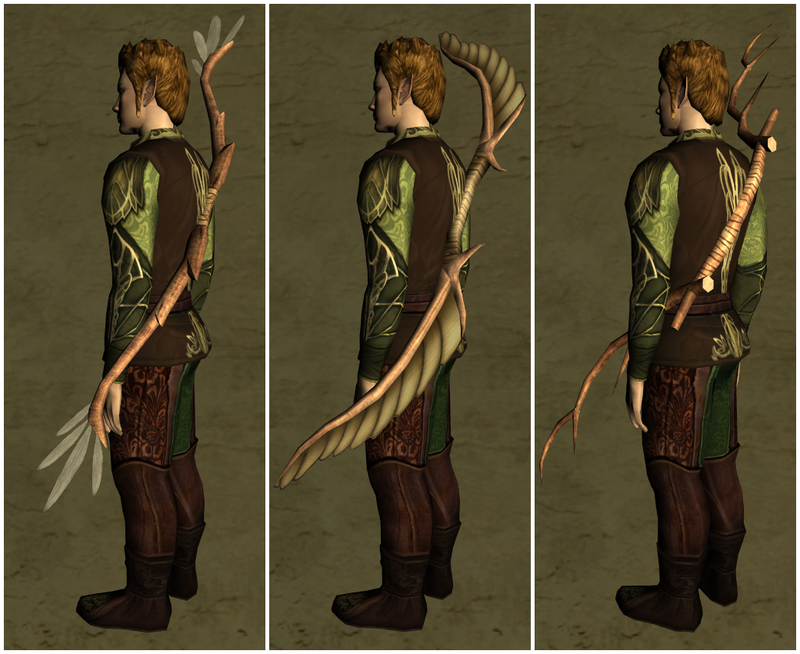 A handful of the bows required rotating the model to take clearer pictures. 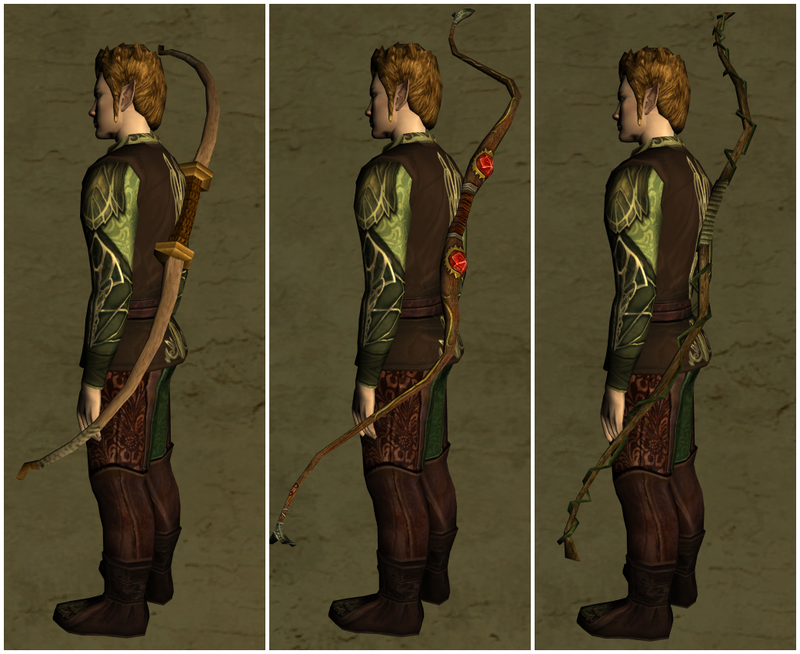 Bow of Shadowy Might, level 46 - Farmed best in Forochel or early Eregion from humanoid creatures. Carved Lebethron Bow of Precison - Crafted output of the Carved Lebethron Bow recipe. 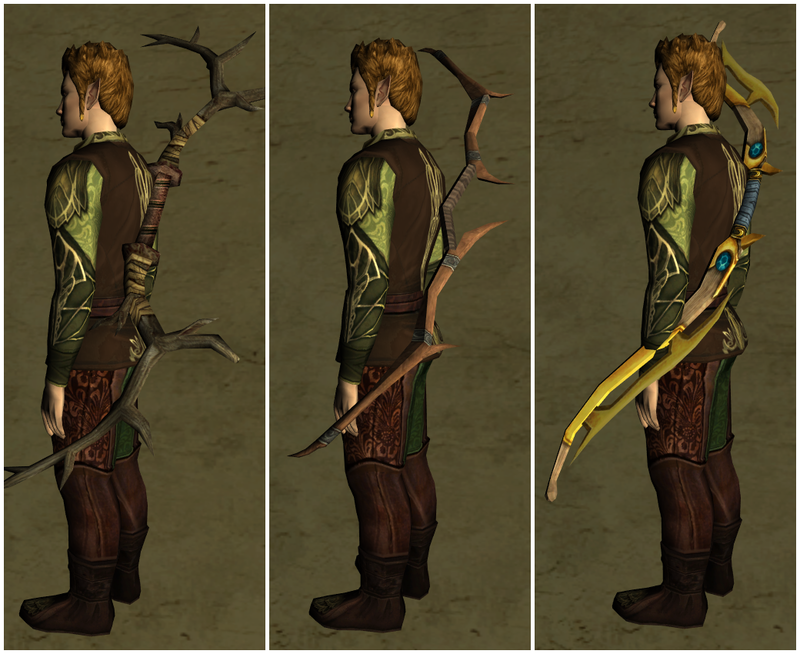 Hunter's Bow of the Third Age, level 62 - Best farmed in the mid level areas of Mirkwood.